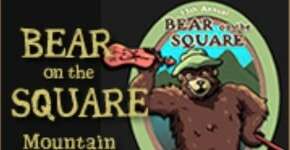 The annual Bear on the Square Mountain Festival , an incredible weekend of music and art held each spring in the foothills of the North Georgia mountains. Old time and blue grass music will fill the Historic Public Square in Dahlonega, GA. Jamming goes on day and night around the square while other local, regional, and national musicians take the stage all day Saturday and Sunday. A juried artist's marketplace features traditional mountain art and crafts. Extensive music workshops, a Sunday morning Gospel Jam, a street dance, a live auction, children's activities, a heritage center demonstrating mountain traditions, and of course, food. The 3rd weekend in April. 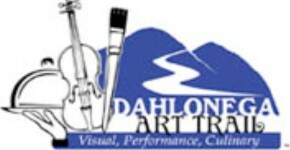 If you are looking for a unique experience on a Saturday in spring, look no further than the Dahlonega Art Trail around downtown and see artists doing what they do best, creating art and fine crafts. 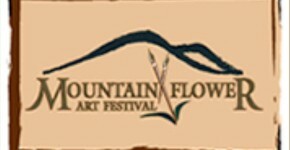 The Annual Mountain Flower Art Festival will be held the third weekend in May on the Dahlonega Public Square. Come out and enjoy over 70 artists of all varieties and even watch some of them as they create their art on the spot. From pottery to two dimensional artwork, to photography, we have something for everyone. 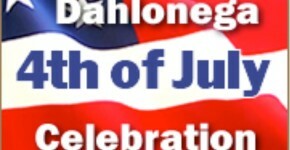 Join us on July 4th to celebrate the Fourth family-style in Dahlonega on the historic town square. The day begins with the new Dahlonega Firecracker 5k/10k! Do you remember being a child and what the 4th of July meant –hot dogs, watermelon, parades, flags waving and fun with family and friends while you waited until it got dark enough for the fireworks? Then you sat watching the skies with anticipation as you heard the swoosh of the rocket and the ooohs and ahhhs at the burst of light and sparkles. 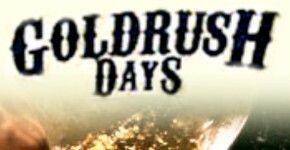 Gold Rush Days are held the third weekend in October, when thousands come to see fall colors peaking and celebrate Dahlonega's 1828 discovery of gold. Over 300 art and craft exhibitors gather around the Public Square and Historic District in support of this annual event, and it is estimated that a crowd of over 200,000 visit over the weekend to join in the fun and excitement! It has been voted one of the Top 20 Events in the southeast by the Southeast Tourism Society. Dahlonega's Old Fashioned Christmas is a month-long celebration and is set into motion with the Lighting of the Square. 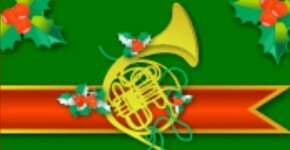 A real home-town parade officially bringing Santa to town occurs the first Saturday in December. Plenty of other festive holiday events continue almost daily throughout December until after New Year’s with caroling, entertainment, wine sampling, and live theater.